In this paper we describe a new method for predicting PDFs of observable quantities driven by stochastic processes with a local Markov property. The method deals with large class of nonstationarities by overembeding the vector in the conditional part of the conditional probabilities of the Markov chain which approximates the Markov process. This allows an application of a Farmer-Sidorowich-like prediction scheme  in the obtained vector space. Thus the conditional PDF of the investigated quantity for the next time step can be estimated and various forecasts can be performed. 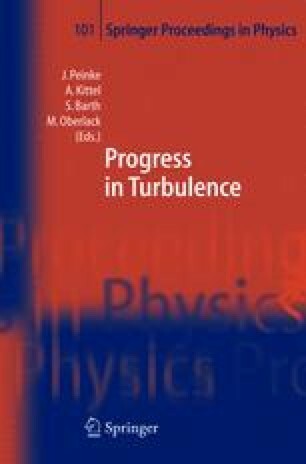 As an illustration the method is applied to the problem for the short-term prediction of turbulent wind gusts which are the major danger for the safe operation of wind energy turbines. Predicted gusts can be made innocent by a simple change of the pitch angle of the rotor blades. Within a prediction horizon of few seconds which is sufficient for this purpose the discussed method produces meaningful results.